“You are going where?” I frequently get asked this question, but my answer of, “Guanaja” led to blank faces all round. No-one had heard of Guanaja or even knew which country it is in. 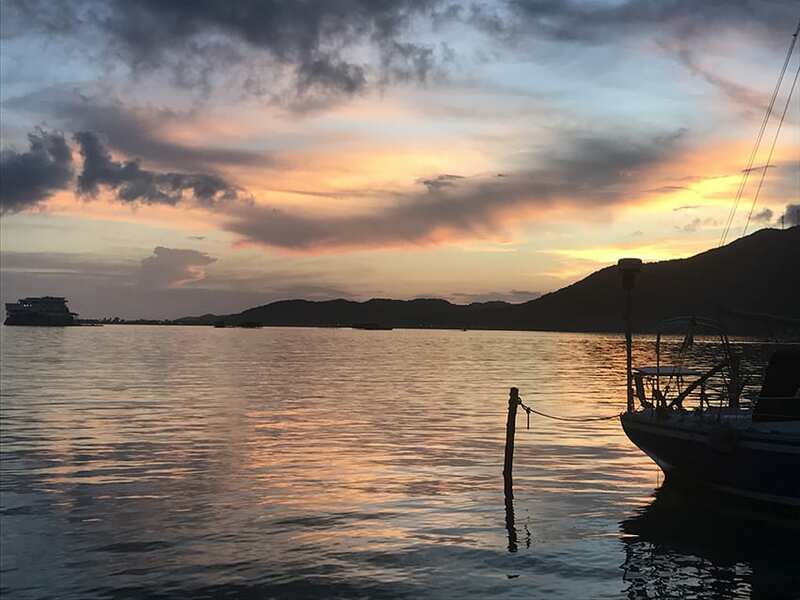 We had applied for a 10 week housesit on Guanaja, a small island off the Honduras coast in what is called the Bay of Islands. I vaguely knew where Honduras was – the middle of that twiddly bit between North and South America, right? I scanned Google maps for Guanaja and there it was, a small island about 100kms from the coast, how idyllic! So I went about trying to find out more about this little island that would be our home for 2 and a half months. 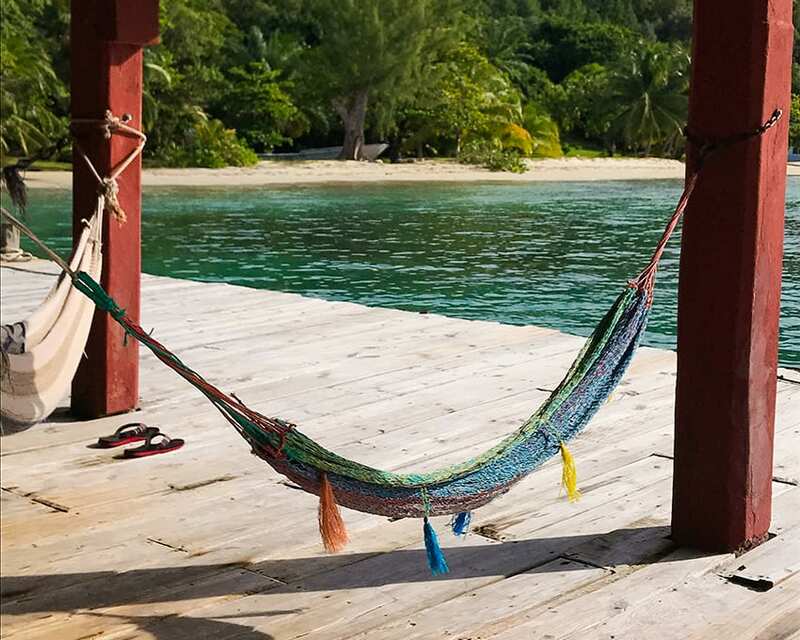 Guanaja is the least touristy of the three Bay islands of Honduras, the others being Roatan and Utila. It is the furthest north and east of the islands. Guanaja is only about 11 miles long by about 5 miles wide covered with pine trees and with mangrove swamps. It has 3 main villages: Bonacca and Savannah Bight on the south side of the island, and Mangrove Bight on the north. There are other pockets of houses around the coastline, but very few people live in the interior. 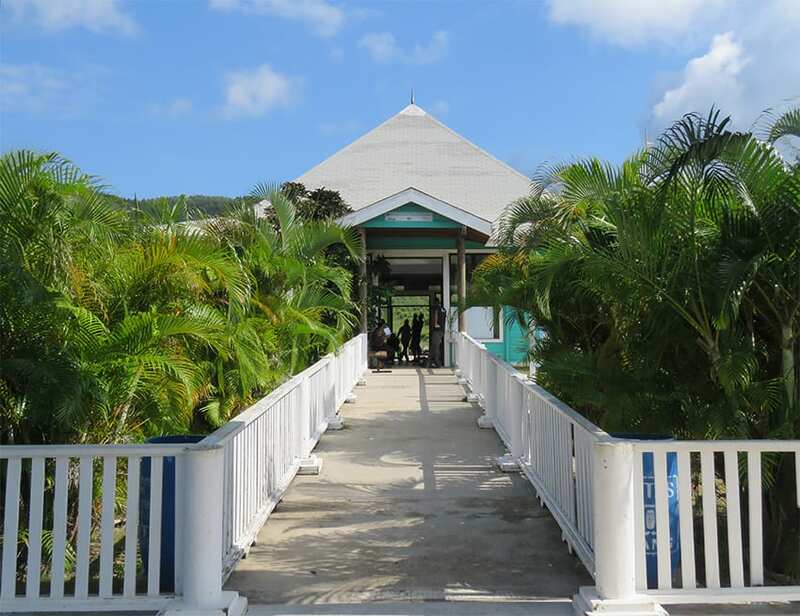 There are a number of cays just off the island, some of which are privately owned, others empty and a few are resorts such as Graham’s Place. The main cay is actually two cays, Low and Hog which have been built up into Bonacca, It is quite densely populated, but with no cars to clog up the streets, it seems quite sparsely and here and there you see glimpses of water reminding you that you are only a stone’s throw from the water. Living on an island does have its challenges, and with only one road, between Savannah Bight and Mangrove Bight to the east of the island, you have to travel virtually everywhere by boat. 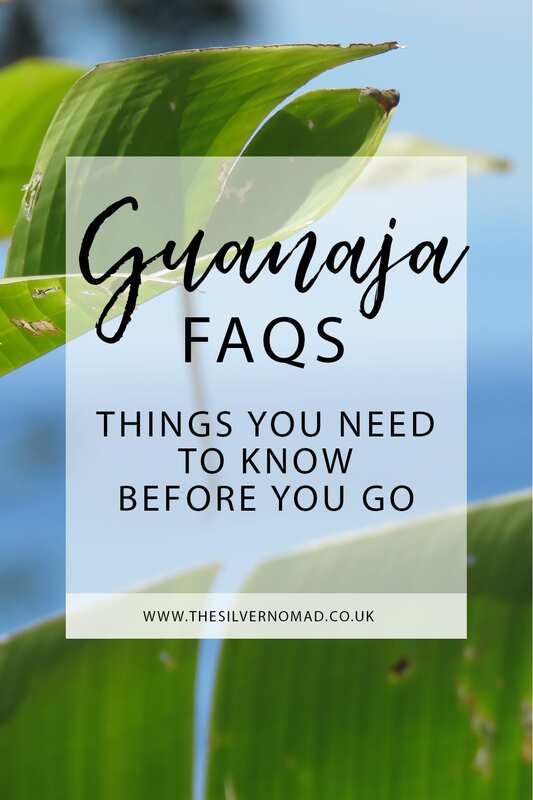 Here are a few things I have been asked about Guanaja. 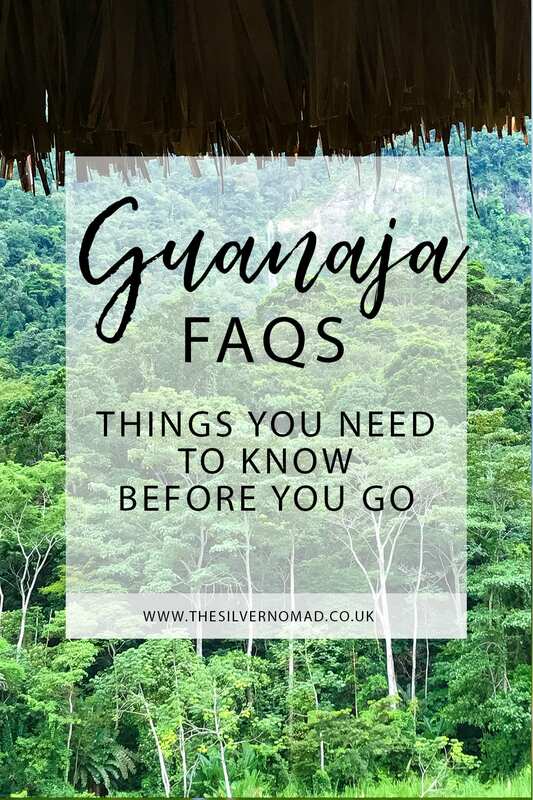 How do you pronounce Guanaja? How do you get to the island? How do I get about on Guanaja? Do you need a Visa for Honduras? What is the Honduran Currency? What languages are spoken on Guanaja? What clothes should you take? What about phone and Internet services? The main airport in Honduras is San Pedro Sula where most international flights land. There is then a 3-4 hour taxi or coach journey to La Ceiba which is the airport to get to Guanaja from mainland Honduras. You leave from the town of La Ceiba on a small 21-seater light plane across the 118kms to the Guanaja. The cost of a single ticket is around $55 (correct at April 2019). Otherwise you can get a ferry from La Ceiba or fly in from Roatan, another of the Bay Islands. It depends on your route into Honduras. Once on the island, you can get around by water taxi either by a boat provided by your accommodation. So unless they are within walking distance, you visit your friends by boat, the restaurants by boat and even go shopping on Bonacca by boat. With all year-round temperatures around the 75 degrees Fahrenheit to 80 degrees mark, the best months to visit Guanaja are April and May. The rainy season starts around about July to January with the heaviest downfall from around October to January. The humidity is quite high all year round, so take anti-frizz serum for your hair! Hurricane season affects much of the Caribbean from June to October, and particularly in September and October, there can be quite strong winds and what the islanders call Northers and you might have to batten down the hatches. UK visitors can get a 90-day visa on arrival at their landing airport. After your 90 days is up, you have to leave the country for about 72 hours and then come back again and have another 90-day visa. The Honduran currency is lempira, but US Dollars are accepted in some places, but don’t rely on it. Spanish is the national language of Honduras, and it is spoken widely on the island, along with English and an island patois, kind of Guanaja-ese, which I have to admit I found difficult to follow, but fun to listen to! With a mix of nationalities living on the island mainly Honduran but also American, Dutch, German, Belgian, Swiss, Canadian amongst others, you will hear all sorts of languages spoken. Unlike the mainland Honduras, Guanaja is pretty safe. There is the odd petty theft, but otherwise you are good. For everyday clothes, t-shirt and shorts are the order of the day, but you may want to cover up at night as the bugs come out! If you are going out for lunch or dinner you can get dressed up, but mainly it is quite casual. I didn’t wear heels or make-up while I was there and existed in t-shirts, shorts, the occasional dress and flip-flops. If you are going hiking, I would suggested longer trousers and hiking boots or sturdier shoes. As it is an island, most things from food to cement to Amazon parcels have to be shipped in from the Honduras mainland. This does obviously add to the cost of items. Guanaja is not a great mecca for shopping however with most of the shops on Bonacca (or the Cay as it is known) being food stores, hardware with a few barbers, a couple of clothes shops, some banks and cafés and restaurants, you will not be coming home with lots of souvenirs, in fact, I couldn’t even find a postcard! Thursday is the day the boats come in from the mainland so it is the day when most of the islanders and ex-pats come to the Cay for fresh supplies. But if the weather is bad, no boats come in and food shopping might have to wait. Otherwise, like most places there are places that are cheap and places that are expensive. Our average food bill for a week was $60 and a meal out around $20. Depending on where you are staying, you should have wi-fi supplied. If not, you may have to buy a local sim and use it for local calls as well for the internet. It isn’t like UK, where we have set packages, we found that the deals could change from week to week both in terms of price and what you get for it. If you can get an unlimited data sim. 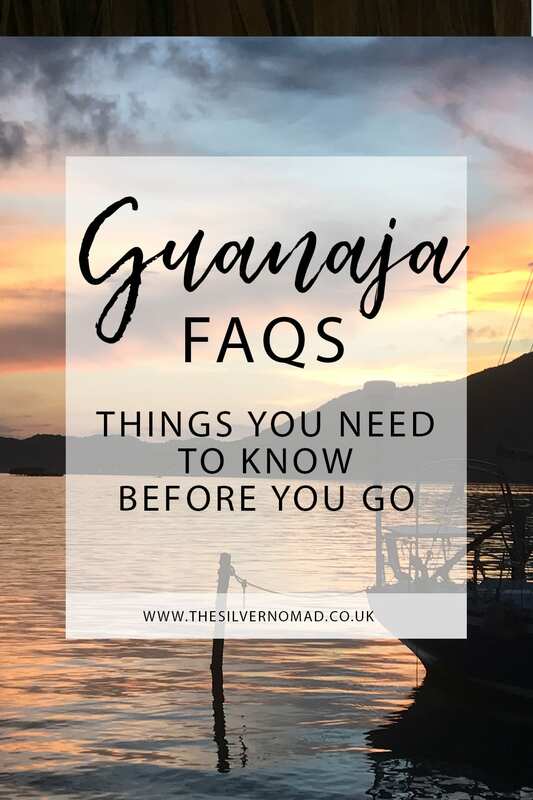 Guanaja is on the migratory path for a whole host of birds travelling south for winter as well as the iridescent hummingbirds which flit everywhere. Brilliant green parrots can be heard, though sometimes are difficult to see as they tend to merge in with the trees. The sweetest little brown large guinea-pig like animals called watusa. They are very shy, but you can sometimes catch them grazing in the gardens. We did also see an armadillo, only once, and sadly did not have our camera ready to capture the moment. Sitting on the Mesoamerican Barrier Reef, Guanaja’s sea is teeming with fish. you can get nursing sharks, blue spotted rays, octopus, eels and hundreds of brilliantly coloured fish, parrot fish, angel fish, the coral eating lionfish. On the north-west of the island is a protected beach where Loggerhead and Hawksbill turtles come to lay their eggs. The beaches are patrolled during hatching times as the eggs and babies are prey to poachers. The island has a huge lizards population, from cute little green ones with turquoise necks that scurry up and down to large grey ones that come out to bask in the sun and a myriad of other ones large and small, the island has lots of lizards to spot. As for snakes, there are some, but they are smaller boa constrictors and slip away when they hear you coming. Two less desirable creature are tarantulas and scorpions. You tend not to see the tarantulas as they come out at night, and are just as scared as us as we are of them. Scorpions hide under tiles, woodpiles and in general stay out of our way. With clear turquoise waters and quiet and empty white sandy beaches on the north of the island, amazing diving and snorkelling sites which are second only to the Great Barrier Reef, a lush and mountainous interior with waterfalls, the island is its own little paradise. It is quiet, tranquil when you need it, but also fun and exciting when you want to it to be a bit more lively. You just go at your own pace. 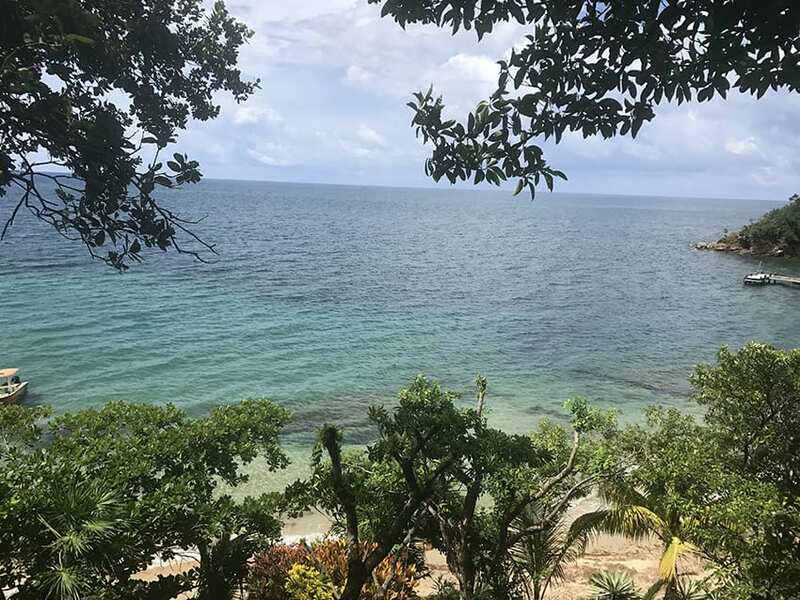 Apart from lazing in the sun in a hammock, you can go snorkelling or diving in one of the 45 dive sites around the island; kayak or kiteboard, or fly-fish; hike over the island (the highest peak is nearly 1,400 feet), see the waterfalls and rappel down them. Go bird-watching for the many varieties of bird on the island and migrating through. On the coast, there is a fair share of mosquitoes as well as sand flies which can be a bit annoying, but as long as you keep yourself covered up with mosquito repellent (I hate to use it, but 100% Deet is effective), you should be okay. The sand flies tend to be down near the shoreline. Make sure at night that arms and legs (ankles in particular) are protected as they love exposed skin! Mosquito nets, mesh on the windows or burning insect repelling candles and incense also help. On 30 July 1502, Christopher Columbus, on his fourth voyage landed on what is now called Soldado beach on the north side of the island. He encountered some natives who were carrying cacao. Even though the island was called Guanaca by the natives who lived there. Columbus names it Isla de Los Pinos (Island of Pines) due to its dense covering of pine trees. Carnival week culminates in a party on Soldado beach where the landing is re-enacted. In late October 1998, the island was devastated by hurricane Mitch, which sat over the island and sucked up the pines and mangrove and most of the pine trees as well flattening buildings and leaving most of the island homeless. It was a tough time for everyone living on the island, and tourism is has just recovering. I have been to Guanaja twice now, and have made many friends there, People are friendly and encourage tourists to visit. 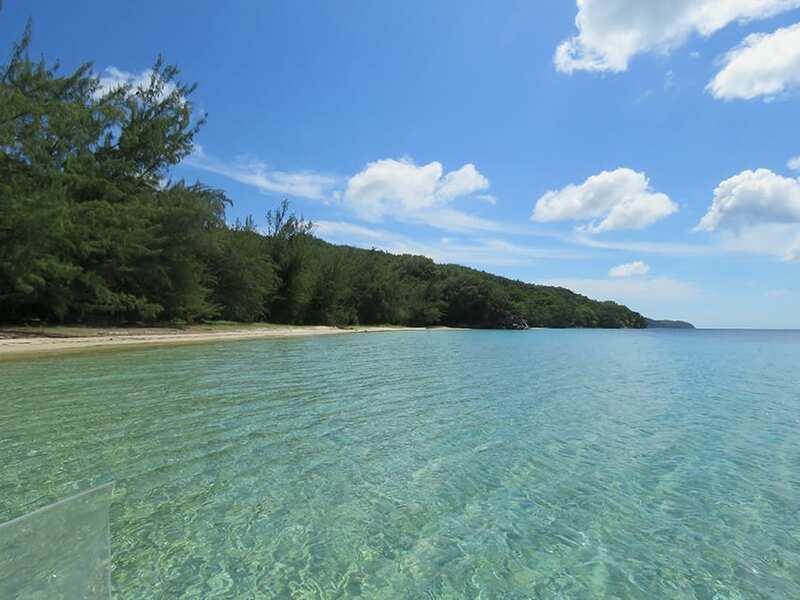 It is an excellent place to snorkel or dive and a lovely island to visit, but don’t expect 5-star resorts, but just enjoy the beautiful lush island for what it is. If you are interested in house-sitting on the island, keep an eye out on Trusted Housesitters, there are normally a few during the year. My trip to Guanaja was entirely self-funded. I was not required to write a positive review of the island. All opinions and photographs are my own. No photographs may be reproduced in any manner without my written permission. Thank you Lisa, Things to do in Guanaja will be published next week!